“We are delighted to have signed this agreement with SEV, an advanced customer with a pioneering energy transition agenda and a world-class tidal energy resource. With Minesto’s technology, they can add a predictable and affordable source of clean energy with the potential to play a significant role in Faroes Islands’ transition to 100 percent renewable energy by 2030,” said Dr. Martin Edlund, CEO of Minesto. SEV will also provide required infrastructure such as grid connection and resources for consenting processes. 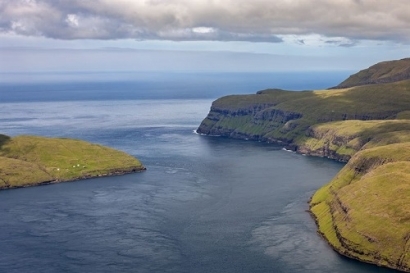 Site development is in progress and a site has been identified in Vestmannasund, a strait in the northwest part of Faroe Islands. “As a remote island society, we don’t have the option of buying electricity from neighboring countries. We need to create the opportunities for a sustainable future ourselves. Therefore, we are in continuous process of revising our road map to 100 percent clean energy,” said Hákun Djurhuus, CEO of SEV.